DUIs in Utah can range from a Class B Misdemeanor to a Felony. The chart on the bottom of this page gives a general idea of the penalties. 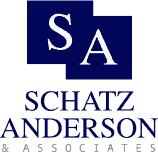 Learn more about DUI trends in Utah from our Resources page. People don’t always understand the long-term consequences of a DUI. They’re familiar with other minor misdemeanor offenses, but they don’t quite comprehend all the collateral consequences. One such consequence is if you’re arrested and convicted of DUI, you become an ignition interlock-restricted driver for 18 months, even on a first offense, regardless of what your criminal history is and regardless of what your blood alcohol level is.